The Fresh Lilacs collection is a gorgeous collection of purples and greens. 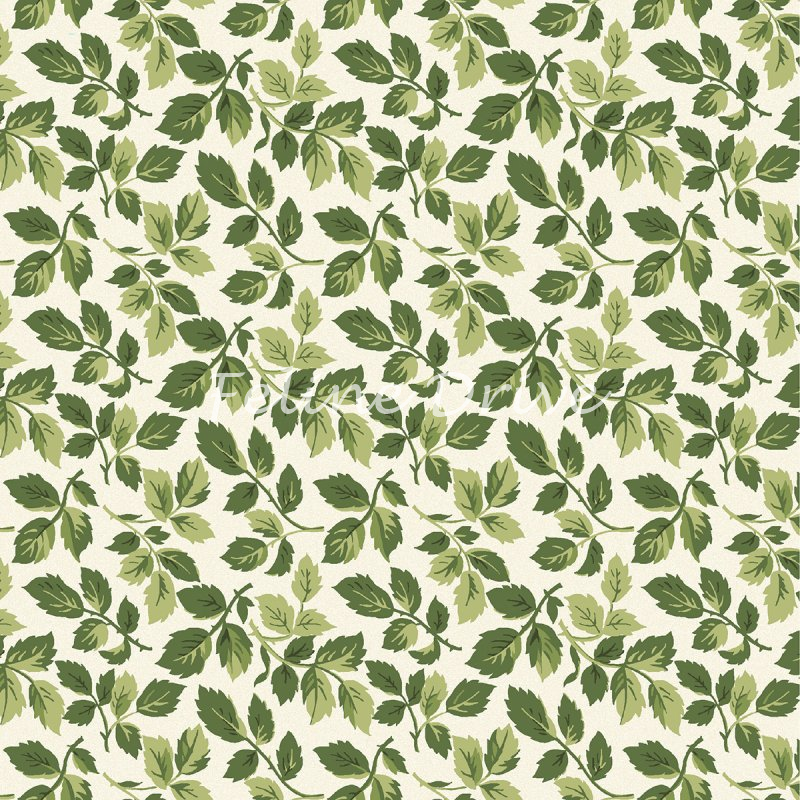 This fabric features green leaves on a cream background. Print Size:Each stem with leaves is approxiately 1" to 1.5" long.